Now that winter is over it is nesting season for wild birds. 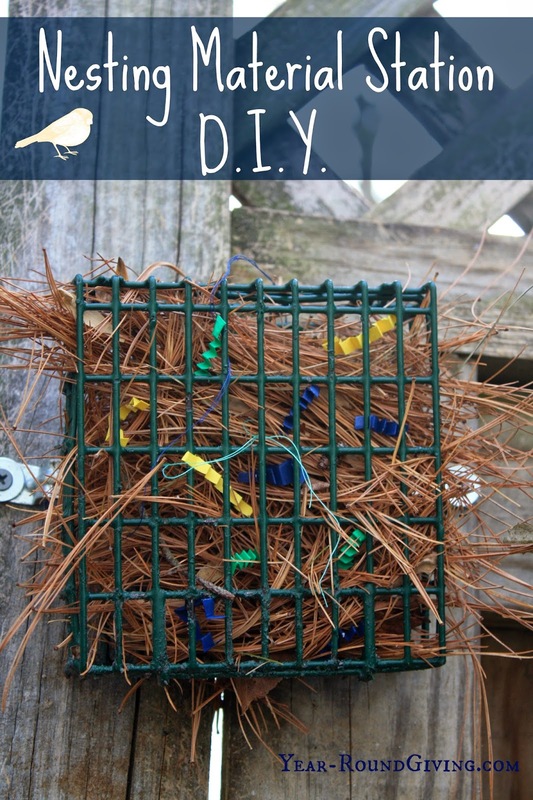 It is too warm for Homemade Suet Cake so I am turning my Suet Feeder into a nesting material station for the wild birds. I use mostly natural materials found in the environment at my station to attract nesting birds. 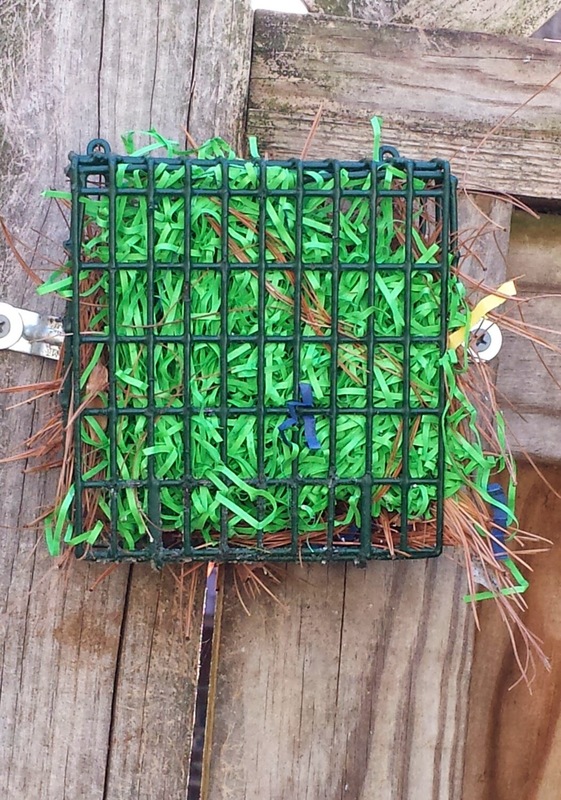 I also mix in some colorful shredded paper, yarn and thread scraps hoping to spot nests during the season with my colorful materials. Above is paper grass left over from my children's Easter Baskets. see my Disclosure Policy for more info.